As any visitor to Labour and Wait knows, we are a fairly hirsute lot. We wear a variety of beards, moustaches and ‘designer’ stubble, but we still acknowledge the importance of a good close shave, and so we are very excited about our new selection of safety razors and shaving accessories. 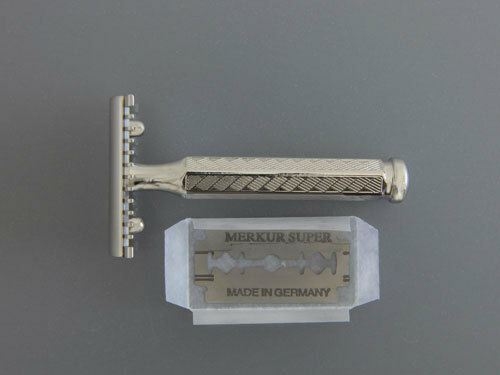 The Merkur range of razors, manufactured in Solingen, arrived in store recently. This area of Germany has long been renowned for the quality of its metalwork, particularly in bladed metal, and these razors are no exception. The Nickel plated safety razor is a design that can be traced back to 1904 and the first Gillette Double Edge Safety Razor, and is a simple, timeless design that should last a lifetime of shaving. 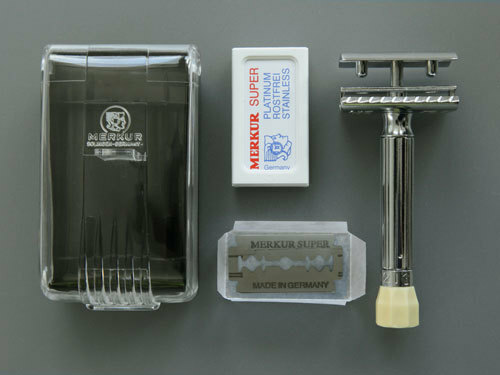 The Deluxe Safety Razor comes in its own case and is supplied with ten blades. The cream dial handle rotates to open the head, allowing easy replacement of the blade, and the razor itself has a wonderful heavy feel in the hand. 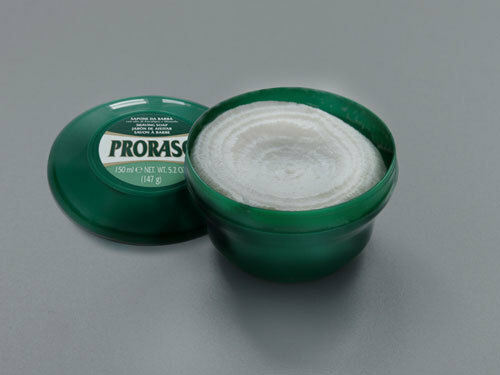 For the perfect shave the razors are ideally accompanied with either our Valobra Shaving soap, long a favourite amongst our discerning male customers, or with our new Proraso shaving soap. 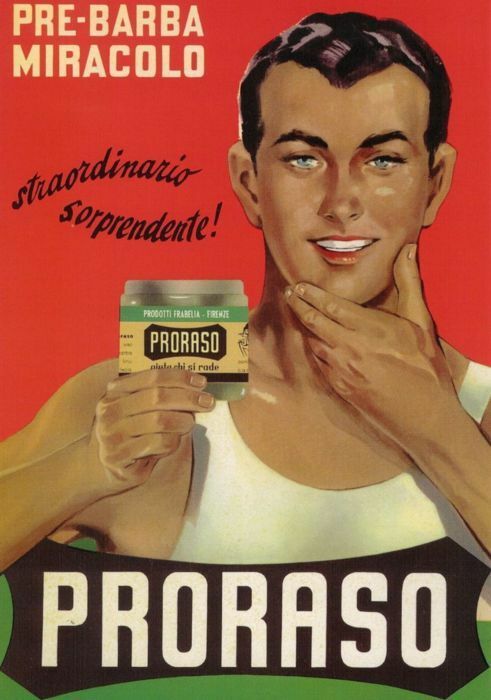 Proraso has being making shaving soap in Italy since 1926, and is respected the world over for the quality of shave it provides. This shave cream has a delicate eucalyptus and menthol scent and is perfect used in conjunction with our 444 After Shave Balm. All these shaving products are available from our website. For a fantastic site full of information about classic razors and some beatiful illustrations and adverts, why not visit Mr-Razor?.